I was diagnosed at 21, during the final year of my degree. Not perfect timing I suppose, but I recognise that I had it a whole LOT easier than the thousands of kids who are diagnosed at a very young age and who have to try to balance life with type 1 diabetes alongside the unpredictability, raging hormones, growth spurts and peer pressure of school life. 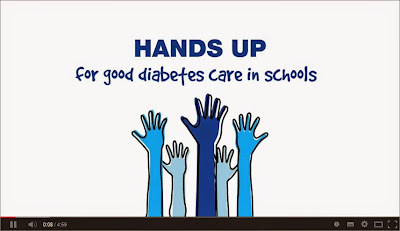 So hats off to Diabetes UK for their 'Make the Grade' campaign which aims to improve the support offered to children with diabetes in schools. I found myself playing 'uncertainty tennis' again earlier this week. Perhaps you don't call it that... 'paranoia ping-pong' maybe? Or possibly 'confusion Kerplunk'. On the other hand - perhaps it's just me... And no one else ever catches themselves doing this? The game begins some time before it starts, usually at least a day before, often more. You make a treatment decision based on what we long-term pancreas impersonators hilariously think of as 'what normally works', except that, on that day, it doesn't. Undaunted, you take some more insulin and/or carbs that 'should sort this out'. Except that it doesn't either. Or the next thing. Or the next. Now that the groundwork is in place, the game can begin in earnest. Evenings are my favourite time to play, since that is the time of day when I eat the widest variety of meals often with the highest carb load. First serve the other day was a carefully carb counted plate of pasta. A meal I have often eaten without suffering undue BG chaos for many years (yes I know... odd isn't it). Bolus delivered and food eaten. 15 all. An hour an a half later, since things have been a bit unreliable over the last couple of days I decide I should check post-meal just to see how things are going. BG well into double figures. Darn. And pasta has a reputation for being very slowly absorbed too! And I didn't even muck about with extended bolus, blah blah blah. 15-30. Now I know that the meal dose is still chugging away. But I also know that I really shouldn't have shot up this much by now. Artoo thinks there is plenty of IOB (insulin on board), but from experience it seems that would only be the case if I'm 8 or 9 at this point, rather than 12-point-annoying. Override the advice and whack in another unit. 30 all. Another hour passes and I come over all hungry. Hmmm. Best be on the safe side. Low 10's. Well OK. Not low then. Still quite a lot of IOB though. And I *did* override. Sit tight or do something else? Pasta will still be going strong right now, won't it? Will it? 40-30. Then a stunning approach shot... 20 minutes later and for reasons I can never fully explain I pop in another .7u - Deuce. Too much IOB now surely? 2 Fruit Pastilles. Then a minute later another one. Still don't want to test. Too many out of range numbers today and I just don't want to see another in either direction... It's like whatever action I've just taken immediately feels wrong so I have to counteract it before it has a chance to take any effect. Too much surely?! Half a unit. The crowd are in their feet... (I'm milking it for comic effect now). Finally after several hours, I can resist it no longer. I check again. 5.whatever with umpty units IOB, plus the last few lots of feverish carb corrections and whatever pasta remains still ticking away. Not only that, but (based on which part of the last two day's numbers I consider to still be applying tonight) I could quite possibly expect to rise, or fall, OR stay perfectly level overnight. So bedtime looms and I have to decide whether to take it to the tiebreaker and wait up for some (most?) of the IOB and/or onboard carbs to work their way out along with whatever I decide to guess at to mop up the remaining IOB. Or I simply munch a little something, retire, and hope for the best! I am fully aware that my evenings of 'uncertainty tennis' are largely my own doing. Without a CGM, and when things have shifted such that I have little confidence in what I think ought to happen with a dose or correction I find it all too easy to slip into a rapid rally of insulin and carb corrections. It would be easier to resist if I hadn't had so many evenings when 'just leaving well alone' meant I spent 4 hours in double figures only to eventually correct with what I had thought of doing in the first place. That and the fact that I've played some amazing games in the past where I've aced a high or low BG into flatline submission with some audacious... erm... 'shots' (sorry!). The theme of this year's Diabetes Week is 'I can...'. 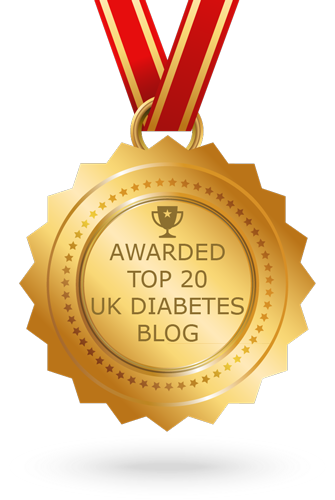 Here's a guest post I was invited to write for the Diabetes UK blog. When I was thinking about this year's theme of 'I can' I was reminded of a conversation I had with someone last week about insulin pumps. It was something that they were being encouraged to consider, but like pretty much everyone else (myself included) their initial reaction was uncertainty. Uncertainty over being connected to something 24 hours a day. Uncertainty about relying on a fragile piece of technology to keep them alive. Uncertainty about how it would make them feel and how others might view them. Uncertainty over whether it would actually improve anything at all. In short, they didn't really think it was for them. I know those feelings well. I had them all, and many more besides. I was 'pump averse' for many years. My clinic suggested that it might help with my recurrent hypoglycaemia, but could never really articulate how that might happen. All I could see was a big bunch of (what I thought were) downsides. If I want to go to bed at 5.0mmol/L, I can. Ahhhhh basal! 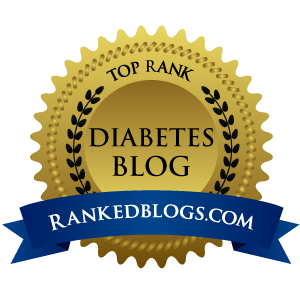 I have been through quite a few basal insulins in my 25 years of pancreas-impersonation. In the old days we were always advised to have a snack before bed. Why? Well because in all likelihood your basal-du-jour was going to be a bit over-enthusiastic in the early hours and could well plunge you into an overnight hypo. It was many years before I discovered 'basal testing' (systematically adjusting your basal insulin by fasting tests so that it just holds you steady) but try as I might, even with fancy schmancy analogues I could only ever get my basal 'near enough' on MDI. A bit too much here, not quite enough there... make up the differences with meal doses and guesswork. With a pump, the flexibility of multiple basal patterns which can be tweaked and changed with almost infinite precision mean that I can adjust things so that I am actually starting from a level playing field. 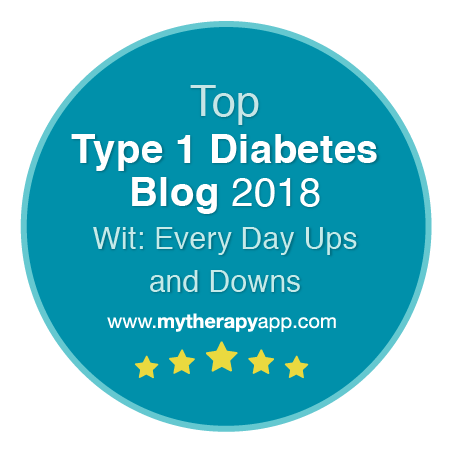 To my mind, basal is the bedrock of my BG levels. If my basal is out, even by just a little bit, my meal doses and corrections just do not play fair. So I no longer have to worry about stocking up on carbs before bed, because my basal insulin should hold me level and when I need less insulin overnight I get less. Where I need more just before breakfast, I get more. If I want to give a really accurate dose, I can. My doses on MDI were often a bit 'ballpark' to be honest. 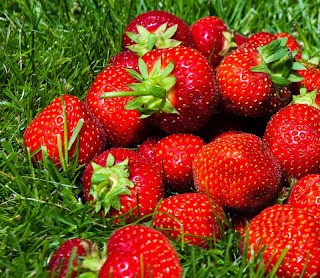 I have always counted carbs and altered my doses based on what I am eating, but I usually rounded up or rounded down to make things easy. Plus I would use insulin:carbohydrate ratios that meant I didn't have to get a calculator out all the time. The Accu-chek Expert was a great tool on MDI for tweaking doses, but I was still using a 'whole unit' pen so there was a degree of rounding even then. Now I can bolus in decimal places. And those tiny tweaks of insulin here or there do seem to make a difference. True enough my carb estimates are still often done by eye, but at least one part of the puzzle is now being calculated and delivered precisely. If I want to stop here for lunch, I can. This was the biggest surprise for me. Rediscovering spontaneity. I began pumping with an fairly entrenched anxiety about being hooked up to something 24/7. 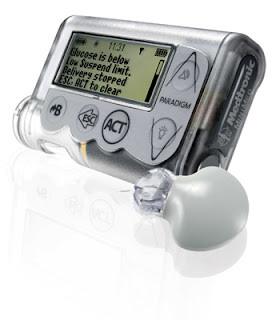 I know almost no one who has not had that when considering an insulin pump. Many people say that within a few weeks (days for some people) they become completely at one with their new robot pancreas and never give it a second thought. I can't say that it was quite so quick for me, but certainly in less than six months I had stopped noticing being attached at all and my emerging 'unthought' behaviours (like automatically hooking it to a t-shirt when getting changed) meant I never really gave Artoo another thought. If you are newly on an insulin pump and it still feels a bit of a nuisance or 'in the way' hang in there. Where was I? Oh yes... Spontaneity. So I was well prepared to dislike being attached, but I really hadn't expected that attachment would turn out to be such a bonus. Out on a wander on holiday... get a bit distracted and it takes rather longer than anticipated... Oh this pub looks nice, shall we stop for lunch? What would have always previously been "No we can't, I didn't bring my pens with me" has simply become "Yes!". Wherever we are now I always have my 'kit' with me, and while I used to like the idea of being able to leave all this stuff on a table and just walk around 'like a normal person', personally I have come to realise that I feel much more 'normal' if I can eat whatever I fancy whenever I want to, without having to remember to bring a case full of gubbins with me everywhere. If I want to have 20 boluses/corrections/snacks in a day, I can. Well strictly speaking I always could have, of course. But in reality I never did. There is something so easy and effortless about push-button dosing that I am far more likely to add in a fraction of a unit here or there during a day when I recognise that I probably wouldn't have bothered to get a pen out, airshot, dial up and inject. This has increased freedom around snacks too. Where I previously found them just to be too much of a hassle on MDI, almost always resulting is a BG wobble in one direction or other (depending on whether I had bothered to bolus or not) I've had much more success with the effortless mini-doses a pump offers. It's easier, so I bother to do it. If I want to run a marathon (or just vacuum the stairs), I can. Again, this was something I more or less tamed with MDI, but the additional options available on a pump, like the ability to set a 'temporary basal rate' for several hours, have added considerable 'polish' to many of those day-to-day conundrums of physical activity. I am far less likely to see my BG levels dip below my target range when exercising these days and I'm buying far less Lucozade! Just a few things of the top of my head. I'm sure most people on pumps could write their own list. 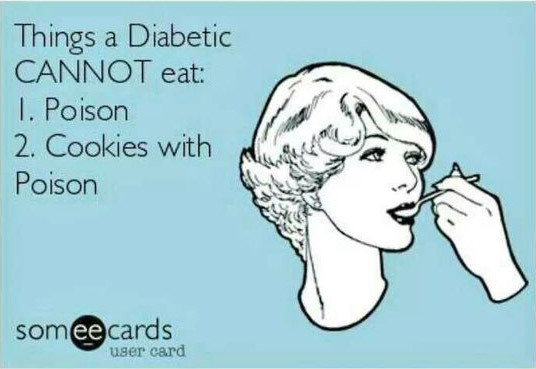 Of course diabetes is still annoying and frustrating quite a lot of the time. A pump is not a magic bullet and it still involves a fair bit of faffing about. But for me having a pump has made a tighter set of BG levels more possible, with less effort and far, far fewer nasty lows. If you are struggling with wrestling your diabetes into some sort of submission and have been offered a pump as a possible way forward I'd suggest giving it a go. If I can do it... You can.